Take Care of Your Feet and Toes – What to Look for at a Nail Salon! 10% of all skin condition problems are fingernail & toenail related! Don’t neglect your feet or hands! § Make sure that your shoes are dry inside. A moist and dark environment can lead to many foot related conditions. Avoid using powders on your feet that contain starch it can encourage fungus growth. § Be careful if you are diabetic, have circulation problems, et cetera. § Go to nail salons that dispose of non-reusable items. Metal implements should be opened from a sterilized bag if it isn’t ask for one opened in front of you. 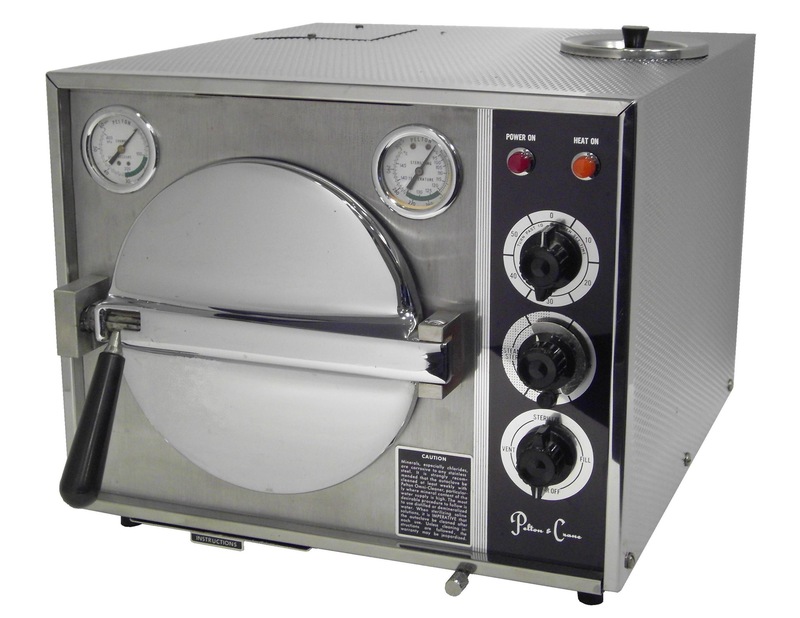 § Look for a dry heat or autoclave sterilizer. If they only use an UV sterilizer it isn’t enough to properly sterilize metal implements. § High level hospital grade disinfectant spray that can kill Tuberculosis should be used on all hard surfaces or non porous surfaces. No regular over the counter cleaners!!! § The foot tubs, chairs, work stations, bowls, et cetera should be cleaned after every client with the high grade disinfectant. § Ideally look for a nail salon that has disposable foot tub liners. § Your cuticles should not be cut! This can lead to infection!!! § After metal instruments are used they should be placed into a jar of disinfectant. Look out for double dipping with a wooden stick or hand on your skin and putting back into a jar. I like to go to a new nail place right before closing time so I can see how they clean. Tricks to Make Your Polish Last! 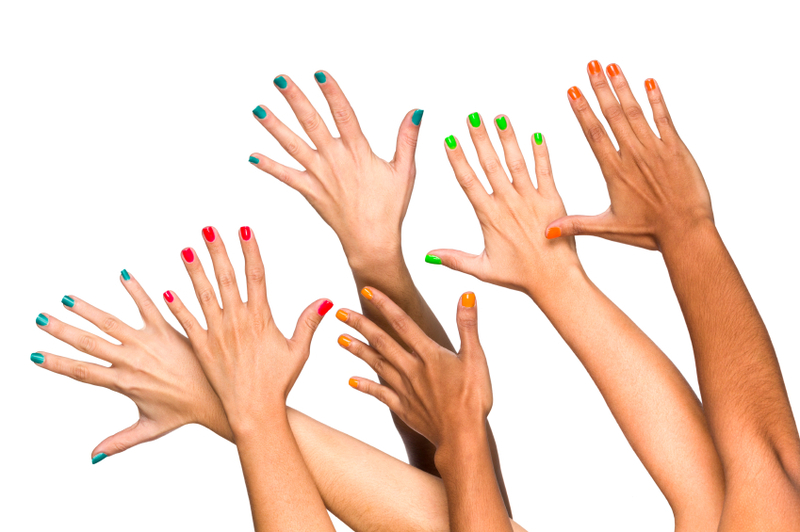 Chipped polish, dry cuticles and cracked, peeling nails–many issues that shorten the life of our manicures. If you find yourself touching up your polish every couple of days, follow these tips, courtesy of WebMD, and your manicure should start lasting you 7 to 10 days. Talons not only look dated — they’re more likely to split, break, and may even become detached from the nail bed. “The longer the nail is, the more it acts like a lever,” says dermatology professor C. Ralph Daniel III, MD, of the University of Mississippi Medical Center. “Any kind of force can lift the nail plate upward and away from its bed.” A chic and modern length is a nail that extends ever so slightly beyond the tip of your finger. Slightly oval or rounded nails with the corners left square is the easiest shape to maintain, says Wendy Lewis, a beauty consultant and author of Beauty Secrets: The Complete Lowdown on Skin, Hair and Body Treatments. Sculpt your nails with a fine-grade emery board. Look for one in your drugstore or beauty supply shop that has the grit marked (the higher the number, the finer the grit), and choose a grit of 280/320. Or try a four-sided buffer, which has surfaces of varying grittiness for shaping, smoothing, buffing, and shining. File gently in one direction. If you saw back and forth, you’ll weaken the tips of your nails, and that can lead to shredding or peeling. If you have vertical ridges on your nails, create a smooth surface by applying a ridge-filling strengthener. Or, buff away the ridges with the fine side of a four-sided buffer. Use restraint. If you buff too aggressively, you’ll make the problem worse by thinning out the nail plate. “A good rule of thumb is if you feel heat or friction, back off,” says Julie Serquinia, owner of The Paint Shop Beverly Hills nail salon in Beverly Hills, Calif. Before you apply polish, swab nails with alcohol to remove any oily residue from creams or lotions. Any trace of oil will cause the polish to lift and peel, says Nancy Reagan, owner of Bella Reina Spa in Delray Beach, Fla.
Dunking your fingertips into a little bowl of liquid is a standard step in most salon manicures. But it’s actually a bad idea. Your nail beds expand when you submerge them in water, and then shrink back when they dry, causing the new coat of polish to loosen. The purpose of the water soak is to assist in softening the cuticle, but a better idea is to use a cuticle softener, Reagan says. “These do a superb job of softening the cuticle so you don’t need water,” she says. 5. Moisturize Your Nails Nightly. Dehydrated nails are more likely to break and split, while moisture-starved cuticles can become ragged, leading to those unsightly pieces of dead skin called hangnails. The most efficient way to nourish parched nail beds and cuticles is with nightly use of a cuticle oil, says Jill Weinstein, MD, an instructor of clinical dermatology at Northwestern University Feinberg School of Medicine. Keep a tube on your bedside table, suggests Weinstein, and apply a couple of drops around each nail, massaging into the cuticle. This simple step will help your manicure last longer, since brittle nails chip more easily. 6. Use a Base Coat. Applying a base coat will help nail polish stick and wear longer. When you move on to lacquer, keep your brush strokes to a minimum and your coats to two. The fewer strokes you use to cover your nail, the less chance of streaks, Lewis says. You’ll also avoid creating the air pockets and bubbles that can be caused by thick layers of polish, Reagan says. Defend against chips by applying polish and topcoat across the top edge of your nails. This is called a “seal.” Maintain the manicure by putting a new topcoat on the entire nail every other day. Still, even with the best defense, chips happen. Fix chips by soaking a cotton swab in nail-polish remover and dabbing it on and around the scratch or nick to even out the surface, Serquinia says. 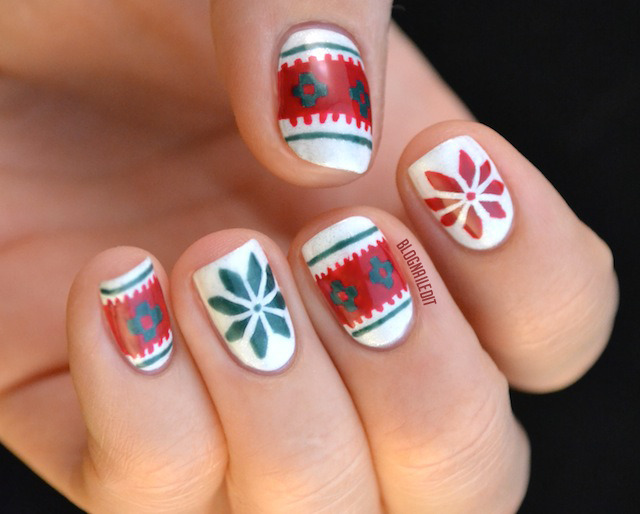 Apply a thin coat of nail polish and follow with a topcoat. If you get a manicure in a salon, take steps to avoid getting an infection. Bring your own instruments or choose a salon that uses a device called an autoclave to sanitize instruments between clients. The autoclave does a better job of killing infectious germs than the green-blue disinfectant that you see in jars on your manicurist’s station, says dermatologist Jeanie Leddon, MD, PhD, of Lafayette, Colo.
Also, don’t trim your cuticles. Cuticles seal the gap between the nail and skin. Remove or damage this protective seal and germs can infiltrate, potentially casing infections. 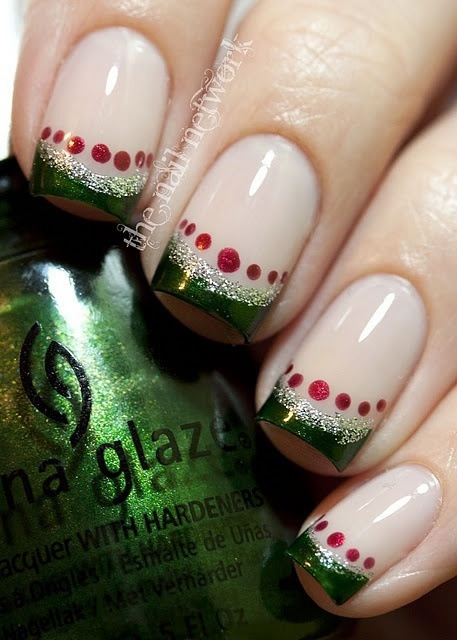 Instead, keep cuticles tidy by using a cuticle oil and gently pushing them back with a cotton swab. Changes to your Hair and Nails when Aging! Your hair and nails function to protect your body. They also keep the temperature of your body steady. Another important function of the hair and nails is to help you (sense) feel things. As you age, your hair and nails begin to change. Hair color change. This is one of the clearest signs of aging. Hair color is due to a pigment calledmelanin, which is produced by hair follicles. These are structures in the skin that make and grow hair. With aging, the follicle makes less melanin. Graying often begins in the 30s. Scalp hair often starts graying usually at the temples and extends to the top of the scalp. Hair color becomes lighter, eventually turning white. Body and facial hair also turn gray, but usually later than scalp hair. Hair in the armpit, chest, and pubic area may gray less or not at all. Graying is determined by your genes. Gray hair tends to occur earlier in Caucasians and later in Asians. Nutritional supplements, vitamins, and other products will not stop or decrease the rate of graying. With aging nearly everyone has some hair loss with aging. The rate of hair growth also slows. As you age, your body and facial hair are also lost. But hairs that remain may become coarser. Women may lose body hair. Facial hair may get coarser, especially on the chin and around the lips. Men may grow longer and coarser eyebrow, ear, and nose hair. Contact your health care provider if you have sudden loss of hair. This can be a symptom of a health problem. Your nails also change with aging. They grow more slowly and may become dull and brittle. They may become yellowed and opaque. Nails, especially toenails, may become hard and thick. Ingrown toenails may be more common. The tips of the fingernails may fragment. Check with your health care provider if your nails develop pits, ridges, lines, changed shape, or other changes. These can be related to iron deficiency, kidney disease, and nutritional deficiencies. Habif TP, ed. Hair diseases. Clinical Dermatology. 5th ed.St. Louis, Mo: Mosby Elsevier; 2009:chap 24. Habif TP, ed. Nail diseases. Clinical Dermatology. 5th ed.St. Louis, Mo: Mosby Elsevier; 2009:chap 25. Minaker KL. Common clinical sequelae of aging. In: Goldman L,Schafer AI, eds. Goldman’s Cecil Medicine. 24th ed. Philadelphia, PA: Elsevier Saunders; 2011:chap 24. Tosti A. Diseases of hair and nails. In: Goldman L, Schafer AI, eds. Goldman’s Cecil Medicine. 24th ed.Philadelphia, PA: Elsevier Saunders; 2011:chap 450. My Beauty Must Haves for March! – the description at Bobbi Brown is a pumpkin orange, but I find this to be more of a orange-fuschia or fruit punch color. Great for a bold pop of color or a lip stain! – great for dry or color treated hair! – a peachy sandy beige with a touch of grey! – is a dirty gray-brown with antique gold shimmer! Confetti Nails! A Great New Years Eve Look! 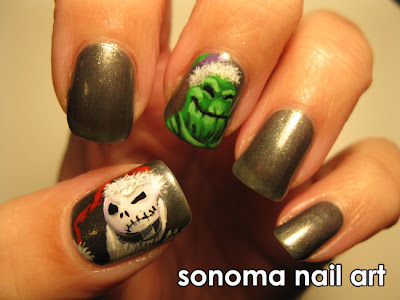 The Perfect Nail Look for New Years Eve! Punch out tissue paper circles. Put about 5-7 pieces on top of each other to get a good solid punch. Paint the base of the nails with any color you want. We used Obsessive Compulsive Cosmetics Nail Lacquer in Cruising because clearly metallic gold says party. 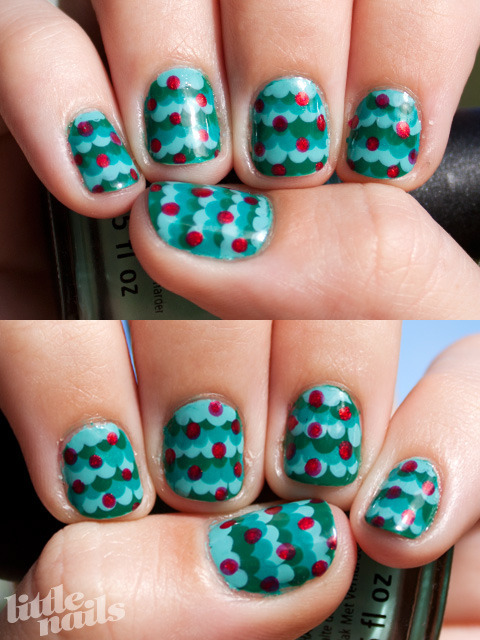 Use a pen to pick up the pieces of confetti and lay them down on the wet nail polish. Make a couple pieces overlap and/or cut some of the pieces down so you can lay them against the cuticle as seen in the final photo. Let some of the confetti pieces hang over the edge and trim them down when you’re done laying them all down. 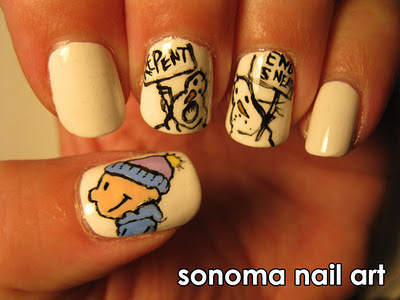 Once all of the pieces are where you want them, go over the whole nail with a good top coat! Click here for a video how-to! Great Stubborn Nail Polish Removing Trick!